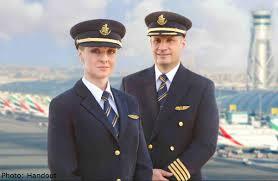 Emirates have announced they will be conducting Stage 1 First Officer interviews in Australia commencing in November. The interviews are by invitation only and will be conducted initially in Brisbane with further interviews scheduled for Melbourne later in November. Tuesday 17th to 21st of November & Monday 23rd to 27th of November. Following the successful completion of Stage 1 candidates will then complete the remainder of the process, that being the final interview and medical, in Dubai. Flightdeck Consulting has a proven track record of preparing our clients for their Emirates Pilot Interview. Using our experience and resources we have developed an interview package that has been designed specifically to prepare you for your Emirates Pilots Interview. Two, one and a half hour Emirates specific personal coaching sessions. The Emirates Simulator Assessment Briefing. Step by Step guide of what to expect in Dubai. Access to our up to date data base of questions currently being asked by Emirates.